Invest in eBroadcast TV's "Your Beer Show"
eBroadcastTV uses breakthrough broadcast technology to produce live, interactive weekly shows - creating jobs & fulfilling the need for socialTV. The fourth dimension (4D) is our remote audience members, hosts & guests coming face-to-face on screen. 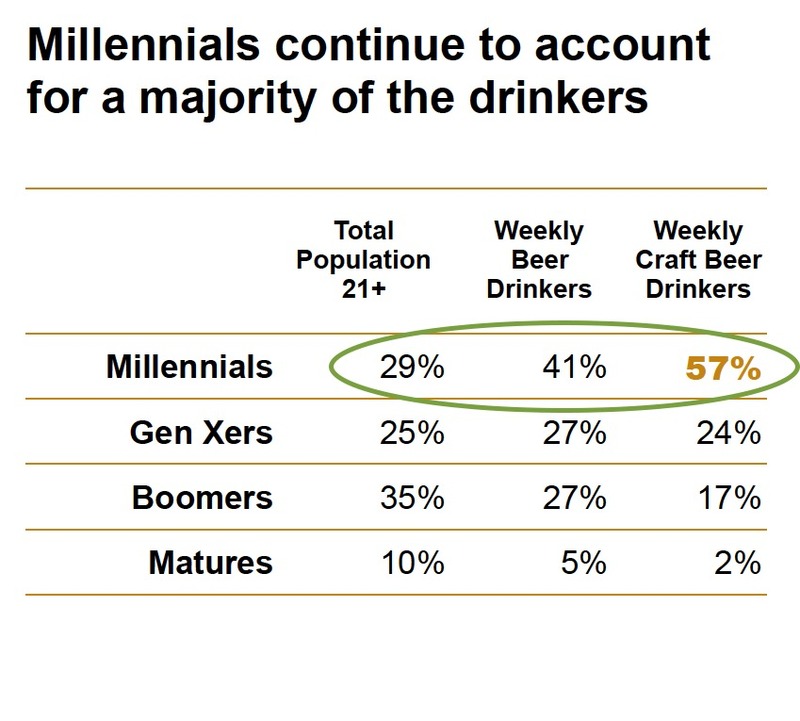 Our first show under production is "Your Beer Show", a craft beer show for millennials. Experienced executive producers, technical crew & on-screen talent will create live, interactive & improvised shows. We aim to be the first fan- owned TV network. Jesse Wacht Founder, CEO, Executive Producer @ eBroadcast TV's "Your Beer Show"
First $500K will invest in a SAFE with a $1.82M valuation cap and 20% discount. A SAFE gives you the right to future shares in the company. If you invest, you're betting the company will be worth more than $1.82M in the future. Held in Escrow & Refundable. 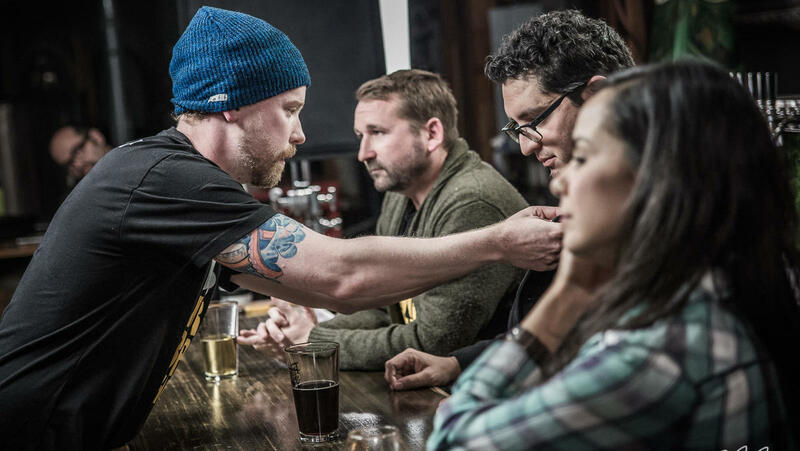 eBroadcast TV's "Your Beer Show" must raise $200,000 to get funded. You may request a refund while funds are in escrow. 1 First to combine TV, live events, & social media to create remote audience-interactive 4D SocialTV. 2 Co-founders experienced in media, e-learning, live radio, and television production. 3 Four years spent on Research & Development. 4 Developed a production technology that utilizes top talent and lowers production costs. 5 Created an online marketing strategy that leverages passionate people and turns them into loyal fans. 6 Goal is to become the first fan-owned E-TV Network. Visionary – and I can help others see it. Resourceful. Stuff happens. I find people, places and things needed so stuff doesn't stop us. Flexible. Teams have great ideas. It’s up to me to blend them. Brendan puts his Audio/Video production and Web/Graphic design skills to work in the Software, Insurance, Non-Profit, Broadcast and Music industries-shooting/editing photos and videos for broadcast. Production Co-Founder, Chief Audiophile/Sound Eng. Working from both sides of the mic, Bill has produced sound for CBS, NBC, ABC, ESPN and the BBC - earning an Emmy and a Silver Microphone. He built and runs one of San Diego’s busiest sound studios. IT Director for GE Retail Systems, Seaman’s Furniture and MentorU. Developer/manager of eLearning for Banfield Pet Hospitals and the American Association of Critical Care Nurses (over 450 hospitals). Skilled in community building, networking and social media applications, she's known for her edits of the boring, bland or dull. A seasoned guide with wit, humor and heart for each web community. His 500k investment in his software to bring it to market, parallels eBTV's four year R&D cycle. Jesse’s eMedia career has included software development for GE, co-founding eLearning systems and live, internet-based radio for eBay and KPMG – all of which are direct descendants of eBroadcastTV. Electrical Engineer by day. Beer, football, model train and hot rod enthusiast the rest of the time. eBTV is a fan-owned network with the goal to become the first to produce live, audience-interactive, social television. With a successful Wefunder fundraise, we'll use 35% of the capital for additional studio equipment, 17.5% for software development, 20% for our beer channel, 7.5% for our new channel pilot show, 15% for working capital (sales, marketing, and talent recruitment), and 5% for the Wefunder intermediary fee. R&D begins with a focus on video communication. Skype pilot fails interactive test. Remote guest and audience software field tested. Producer work flow field tested. Decision to move forward with eBTV made!. Control room flow tested with team. Pilot designed to demonstrate many elements of future channels! Industry and celebrity guests booked. Pilot and channel privately screened. Take a Peek at How We Do It! The first of 20 channels is YOUR BEER SHOW. Research is done for each channel that serves each market. 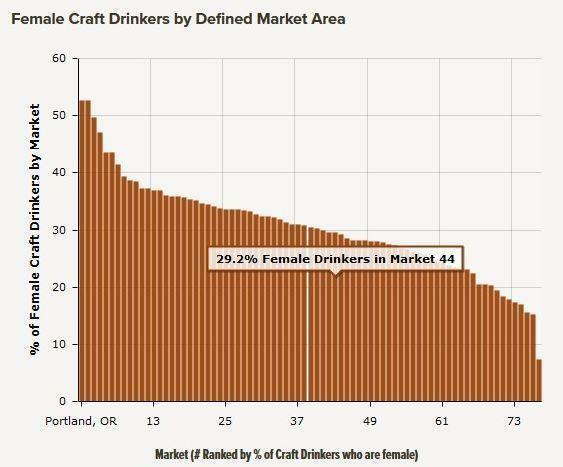 Here's some on why Your Beer Show is a hit. We hope to develop 20 channels in the next 4-5 years. As a fan-owned TV network, our goal is for eBTV to become the leader in audience-interactive socialTV. We're documenting our production methodology while creating a fun workplace, fostering fresh talent. So you're a broadcast network, just like the ones we see on TV - ABC, NBC, CBS, etc? Yes, only online instead of via a television set. And your network has different channels like TV does? Yes. Currently, we're working on both a craft beer and Alzheimer's channel. (How diversified is THAT!) We also expect to build 20 other channels in three years to five years - medical channels, business channels, lifestyle and sports, too. Just like TV does. Except online. What kind of stuff can I expect to see on each channel? Each channel will have 48 live weekly shows. Each show will have a host. It'll also have experts and celebrities - sharing their knowledge and advice.Using craft beer as an example, a single show's topic could be on what makes a "good IPA" craft beer. The experts will then offer their advice. We want it to be entertaining, educational and fun. We also want to cover more serious topics and are in the works of creating a show based on Alzheimers. We will cover new research and treatment, ways to cope with the disease, and help for caregivers. So I'll watch this live show, and listen to the so-called "experts." Then what? Then the show is opened up to you, the audience, where anything can and will happen. The audience comes face-to-face with the experts and celebrities and leads the direction of the show through their questions. Through new VIDEO BROADCAST technology. The shows are designed so that more than half of each show is devoted to audience interactivity. That's a lot of authentic, spontaneous, and at some points, gut-wrenching interaction.But it all NEEDS to be that way so people get accurate, timely help in areas that are important to them. And sure - the level of importance will vary from topic to topic. But the quality of the content for each show will remain consistently targeted, current and useful. Why will people attend live shows? For the same reasons people go to live music performances and plays. Why they want to shake the hand of a potential business partner. Why they want to look someone in the eye.People don't believe a lot of the information they get off the internet. But they do if they are with experts they relate to.Anyone can be perfect in a scripted environment. The true experts shine when given the chance to interact directly. So THAT'S a channel. Those 48 shows and that seachable content? Not quite. There's still one more component that's REALLY, REALLY important. That's the online neighborhoods that will grow through eBTV-owned community websites and email campaigns, along with social media outlets.This component will bring like-minded people together to offer support, experiences, and additional help. We expect some experts will stay within these moderated neighborhoods to offer more info to their followers. And we expect this will become a vital part of each channel. Each channel will have sponsors - people and companies who work in the channel's field. They'll support the channel through sponsor packages. Those packages are EXTREMELY cost-effective compared to what traditional TV, radio, and social media campaigns cost. How is it possible that this will be cheaper for sponsors? Not cheaper. More cost effective. New PRODUCTION technology utilizes top talent while lowering production costs so sponsors get more bang for their buck.And with limited sponsor slots open, it will be highly competitive between sponsors to get their spot secured before their competition does. Well, like all technology-based products and services, we'll need to keep up with changing trends - in both technology and in how people use it. We'll need to roll with being the pioneer of a brand new product. As that pioneer, we expect people will try to copy us. We currently have no direct competition because no one's put this together ... yet.It's possible that bigger companies will want to do what we're doing themselves. Usually, they aren't as agile as we are, and like the idea of acquiring a company that has everything all up and running, versus starting from scratch themselves. Or maybe they'll hire us to do it.We expect to find ways that don't work, and fix them. Sometimes you start out with major assumptions that prove faulty, as others quickly emerge from the ideas of customers, clients, and sponsors. 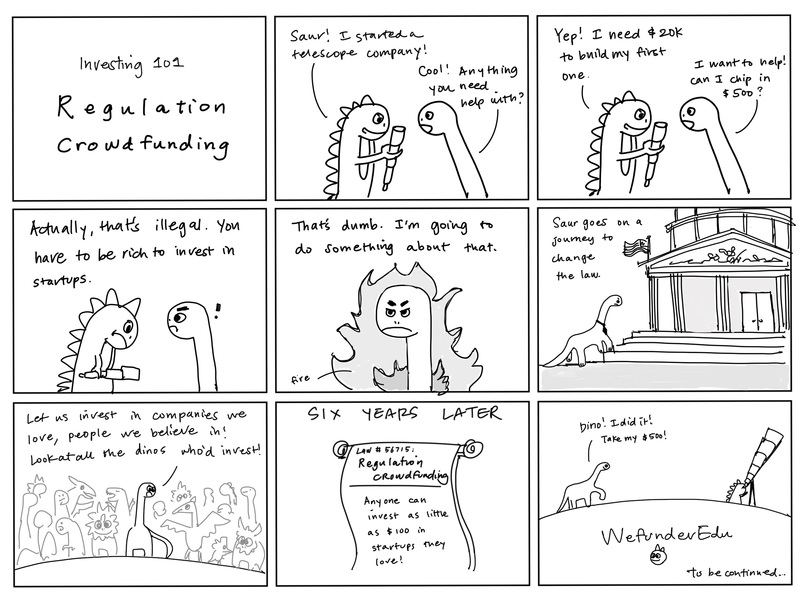 That happened with PayPal, whose five original funding assumptions were all wrong. They quickly latched on to an idea and then changed their direction to become successful.We'll need to ensure that our balanced team of baby boomers and younger millennials, remains flexible, creative and good at understanding industry advances and audience needs. Our audiences, experts, and sponsors will get what they were told they would get. What they EXPECT to get.We'll also need to remain true to our core value of producing HIGH QUALITY, ACCURATE, AUTHENTIC content.We said this will do for TV what email did to mail. That concept - how BIG of a deal that is, hasn't escaped us. There is NO model to follow. We'll be the model for generations to come. And we're up for that task. How will you stop disruptive spammers? The key is relevant video screening. If I invest in you, how will you use my money? If we raise the 200k minimum, we’ll use it for: * Additional studio equipment needed for our weekly shows* More software development to increase the leverage of our audience interactive software* More weekly features added to the craft beer channel (and all future channels)* Creating another pilot show for our next channel* Allocating 15% for working capital for sales, marketing and talent recruitment If we raise 500k, we'll increase the budgets for additional studio equipment, software development and add additional weekly features. We'll create another four pilot shows to ramp up channel development and will allocate 35% for working capital (applied to the pilots and channels that are best supported by the audience and screened sponsors). eBroadcast TV's "Your Beer Show" has financial statements ending December 31 2018. Our cash in hand is $5,964, as of June 2018. Over the three months prior, revenues averaged $0/month, cost of goods sold has averaged $0/month, and operational expenses have averaged $600/month. 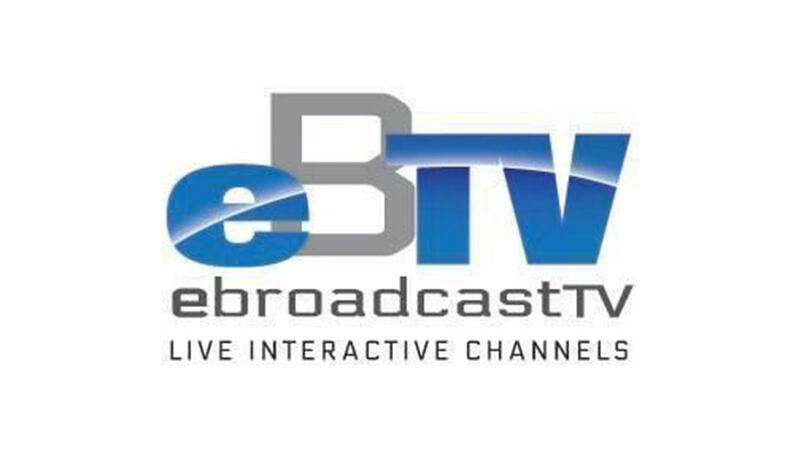 The eBroadcast Television Network (eBTV) uses breakthrough broadcast technology to produce a live, interactive weekly show, creating jobs and fulfilling the need for social TV. Our first show under production is the "Your Beer Show" - a craft beer show for millennials. We aim to be a fan-owned TV Network. Using experienced executive producers, technical crew and on-camera talent, the shows will be live, interactive and improvised. eBroadcast Media Group, Inc. was incorporated in the State of California in December 2010. The company will convert to a c-corp before the closing the offering. First of it's kind, audience-interactive, SocialTV. Co-founders experienced in media, e-learning, live radio, and television production. Four years spent on Research & Development. Developed a production technology that utilizes top talent and lowers production costs. Fine-tuned an online marketing strategy to leverage passionate people and turn them into loyal fans. Goal is to become the first fan-owned E-TV Network. Assets. As of December 31, 2018, the Company had total assets of $6,226, including $3,726 in cash. As of December 31, 2017, the Company had $16,526 in total assets, including $16,526 in cash. Net Loss. The Company has had net losses of $20,163 and net losses of $24,421 for the fiscal years ended December 31, 2018 and December 31, 2017, respectively. Liabilities. The Company's liabilities totaled $3000 for the fiscal year ended December 31, 2018 and $0 for the fiscal year ended December 31, 2017. To-date, the company has been financed with $88,153 in equity and $5,500 in loans. After the conclusion of this Offering, should we hit our minimum funding target, our projected runway is 12 months. If we are not profitable at that time, we may need to raise further capital. We will likely require additional financing in excess of the proceeds from the Offering in order to perform operations over the lifetime of the Company. If that is the case, we anticipate having to plan to raise capital in 12 months. Except as otherwise described in this Form C, we do not have additional sources of capital other than the proceeds from the offering. Because of the complexities and uncertainties in establishing a new business strategy, it is not possible to adequately project whether the proceeds of this offering will be sufficient to enable us to implement our strategy. This complexity and uncertainty will be increased if less than the maximum amount of securities offered in this offering is sold. The Company intends to raise additional capital in the future from investors. Although capital may be available for early-stage companies, there is no guarantee that the Company will receive any investments from investors. We are currently in talks with an investor who would come in for $150K but it hasn't yet been finalized. eBroadcast Media Group, Inc. cash in hand is $5,964, as of June 2018. Over the last three months, revenues have averaged $0/month, cost of goods sold has averaged $0/month, and operational expenses have averaged $1000/month, for an average burn rate of $1000 per month. Our intent is to be profitable in 12 months, based on financial projections we've made and our assumptions about growth. Our Co-founders and Directors continue to contribute a combination of money and their valuable production time to earn options within our 2017 Stock Option Plan (as they have over the last four years of R&D). In 2018, over 40 interviews with award winning brewers have been conducted using the studio we built and our remote guest and audience screening technology. Additional production pieces plus eBTV and Your Beer Show marketing (our first channel) will continue throughout the Reg CF offering period and our initial runway phase after our financing round is closed. We remain self-funded with committed and talented co-founders working for eBTV, partially for options to keep expenses extremely low. Even after funding, many of these key people have agreed to use options to keep expenses low until overall profitability is achieved. 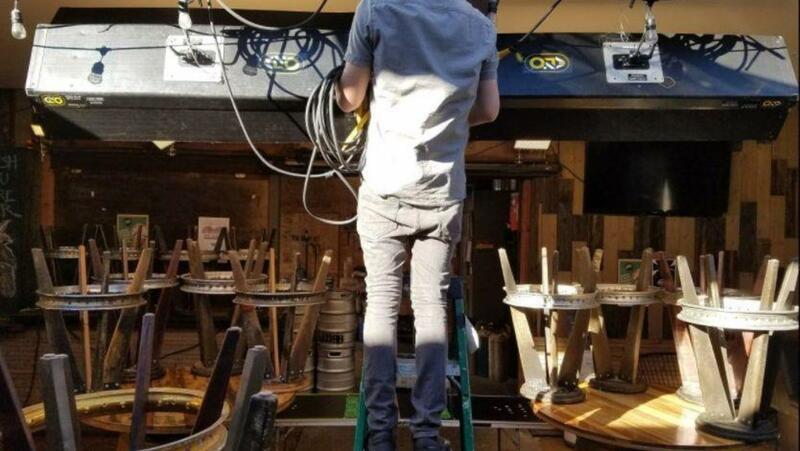 In lieu of a successful fundraise we will continue to boot-strap the operation and rely on capital from the founder in exchange for equity. Over the course of the next 3 - 6 months, we expect expenses to increase as we expand our production, and revenues to increase as we gain sponsors. The total amount needed to complete this first phase of our production is about $200,000. * By marketing and promoting our pilot shows, products, and services, we believe we'll develop new online interactive broadcasting channels in many industries, with a corresponding customer base. If we can't develop such a customer base, it could hurt our chances of success. * We believe sponsors will respond positively because of our exclusivity approach. BUT competition for part of existing advertising and sponsorship budgets exists from a variety of old and new media platforms, and we may be unable to attract the necessary sponsors. * Like most businesses, our financial success may be sensitive to adverse changes in general economic conditions in the United States, such as recession, inflation, unemployment, and interest rates. These changes could reduce demand for our products. We believe that our broadcasts, and extensive turnkey community-building services, will insulate us from excessive reduced demand. Nevertheless, we have no control over these changes. * We believe the new focus on live streaming media will greatly benefit us. Likewise, new competition will also benefit us by educating potential clients and new customers. Yet, there's the possibility that these new competitors could be better capitalized than we are, which could give them a significant advantage. However, our assumption is that most of the bigger companies would rather acquire us - then use our experience, personnel, proven model and built-out software. But there's no assurance that will happen. * If our business plans prove to be incorrect, we may have inadequate money to fully develop our business. We may need debt financing or other capital investment to fully implement our business plans. While we believe the new Crowdfunding regulations will make raising additional money possible, there can be no assurances that the above mentioned factors, or economic conditions beyond our control, wouldn’t negatively affect our efforts. * Problems, expenses, and delays due to the expansion of our business, operation in a competitive industry, and changes in sponsors' advertising budgets, can occur. There is a possibility that we could sustain losses in the future. There can be no assurances that we'll even operate profitably. * In our early stages of development of our business, we'll be significantly dependent on our management teams. The loss of these individuals could have an adverse effect on us. * The company may face difficulties attracting talent, which could undermine its operations and severely impact its ability to operate. * The Company could be negatively impacted if found to have infringed on intellectual property rights. * The Company may never receive a future equity financing or elect to convert the Securities upon such future financing. In addition, the Company may never undergo a liquidity event such as a sale of the Company or an IPO. If neither the conversion of the Securities nor a liquidity event occurs, the Purchasers could be left holding the Securities in perpetuity. The Securities have numerous transfer restrictions and will likely be highly illiquid, with potentially no secondary market on which to sell them. The Securities are not equity interests, have no ownership rights, have no rights to the Company’s assets or profits and have no voting rights or ability to direct the Company or its actions. * The Company is an early stage company and pre-revenue. Accordingly, the Company’s operations are subject to all the risks inherent in the establishment of a new business enterprise, including potential operating losses. Any investment in the Company must be considered in light of the risks, expenses and difficulties frequently encountered by companies in an early stage of development in new and rapidly evolving markets. No assurance can be given as to the ultimate success of the Company. The likelihood of the success of the Company must be considered in light of the problems, expenses, difficulties, complications and delays frequently encountered in connection with the formation of a new business. Nancy Roebke is a part-time officer. As such, it is likely that the company will not make the same progress as it would if that were not the case. William Davenport is a part-time officer. As such, it is likely that the company will not make the same progress as it would if that were not the case. Loan converted to 465,728 shares of common stock at a conversion price of $0.01 per share as part of December 2016 equity sale round. Loan converted to 465,728 shares of common stock at a conversion price of $0.01 per share as part of November 2016 equity sale round. 62,000 shares of common stock sold at $0.25 per share, in exchange for $9,500 of cash and conversion of a $6,000 loan. This was part of the larger November 2017 equity sale round. Related party loan with no set repayment date and no interest rate. eBroadcast TV's "Your Beer Show" is conducting a Regulation Crowdfunding offering via Wefunder Portal LLC. CRD Number: #283503. No one is talking about eBroadcast TV's "Your Beer Show" yet! Thanks for vouching for Jesse! If you'd like to invest in Jesse, please open an account. We'll waive your fees if you do it now. We asked Jesse for 10 personal references. Can you vouch for Jesse?